156454 leaves Hexham station on 14 September 1996 with the 10:35 Carlisle to Middlesbrough service. 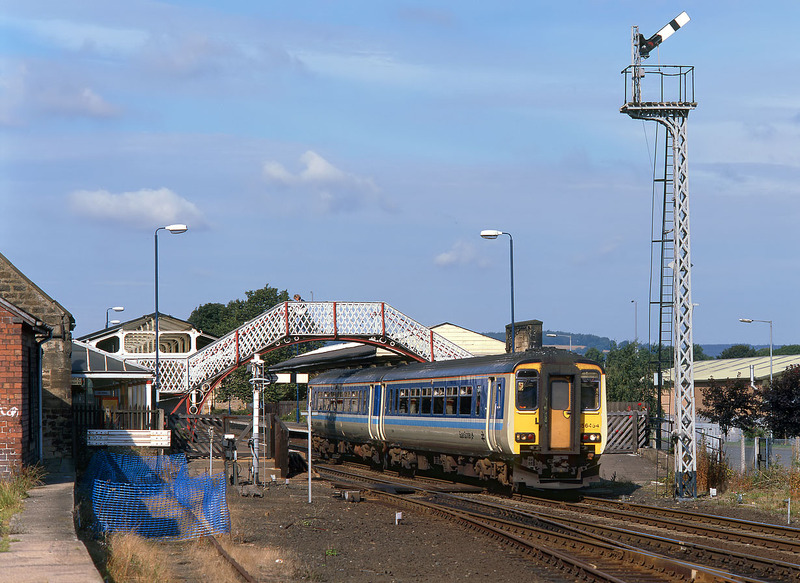 A fine North Eastern Railway footbridge and original station canopies are dominated by the ridiculously tall semaphore signal, which is made to look even more out of scale, when compared with the truncated version on the left! As with most stations on the Tyne Valley Line there is plenty of steam age character here, although I don't think the loading platform on the left has seen a train for many years!